Instant sparkle! 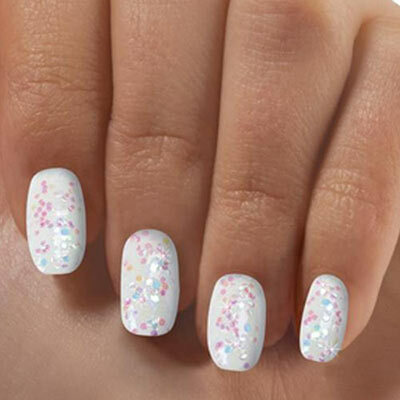 Show off your nails with these white nails covered in iridescent glitter. Set of 12 in different sizes for a perfect fit. Get salon quality nails at the fraction of the cost in the comfort of your home.